Lebson-tech HDMI Splitter Lets You Use Multiple Screens with One Single HDMI Source Watch your video content on eight displays at the same time using this 1x8 HDMI Splitter. It features an internal amplifier, which boosts the HDMI signal and allows the use of longer than the normal HDMI cable runs. 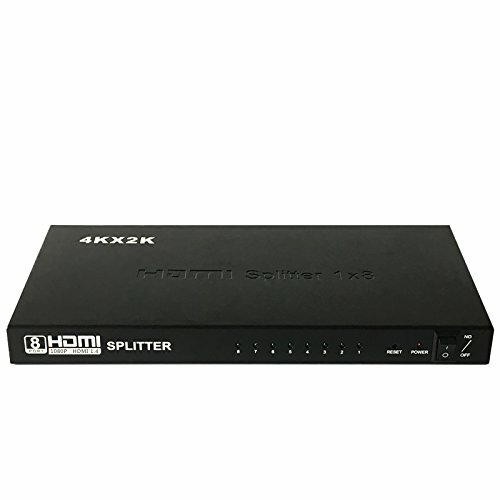 The splitter also has the ability of buffering and amplifying, and can achieve long distance transmission of HDMI signal of up to 50 feet . If you have any questions about this product by Lebson-tech Digital, contact us by completing and submitting the form below. If you are looking for a specif part number, please include it with your message.